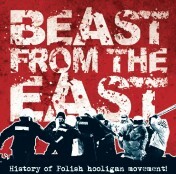 Beast from the East – history of Polish hooligan movement! Artykuł pochodzi z magazynu "Saturday`s Heroes" nr 1 / 2012. The article has been published in "Saturday`s Heroes" magazine # 1/2012.